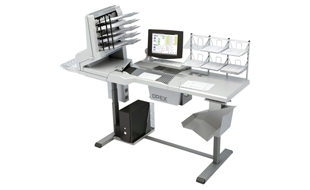 The OPEX AS7200t document capture workstation - the unique one-step scanning platform engineered for the ultimate in performance, security, and image quality. The unique single-step process of the AS7200t virtually eliminates the additional prep and postprocessing costs associated with conventional document capture. 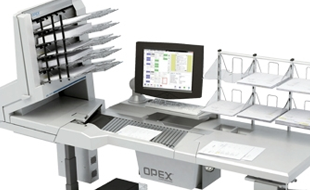 A variety of industries worldwide including insurance, healthcare, and financial services turn to OPEX document scanners to provide them with the most advanced high volume scanning solutions available. And the AS7200t is perfect for applications such as backfile conversion, accounting, and out-of-the-folder archiving. Simply put, the AS7200t is the fastest, most cost-effective, and efficient way to process mixed documents. Interested in the Opex AS7200T?